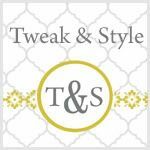 Tweak & Style Blog: Add Some Character to a Fireplace. 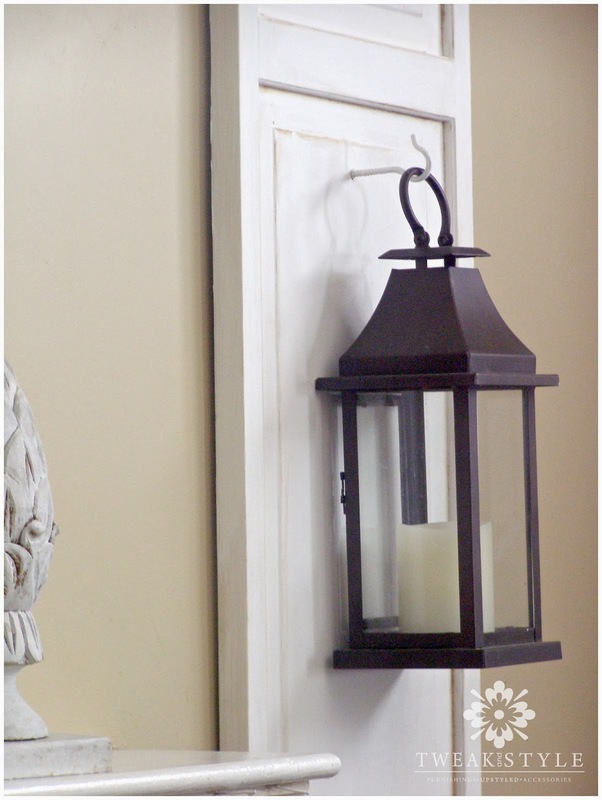 Flank it with Repurposed Closet Panels and Lanterns. 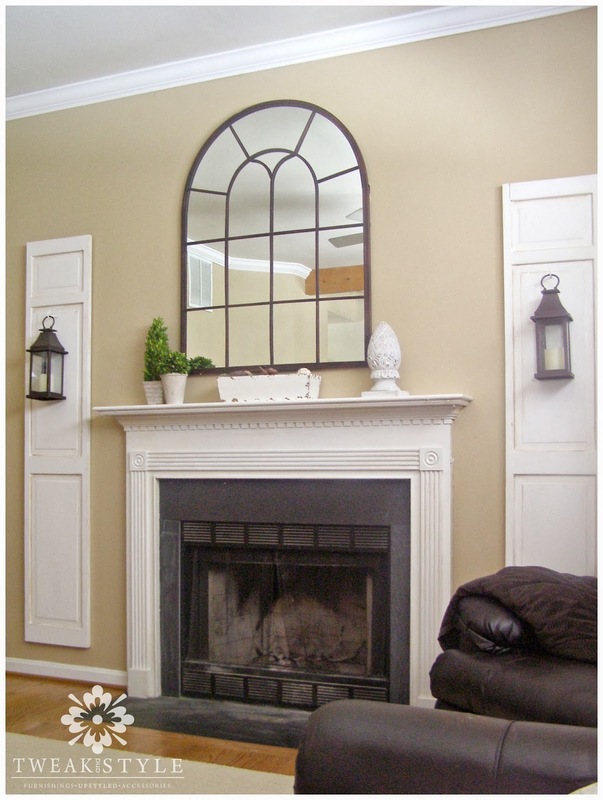 Add Some Character to a Fireplace. Flank it with Repurposed Closet Panels and Lanterns. Recently, we put our house up for sale. After years, and years, of commuting our boys 45 minutes each way to school, we finally are hoping to get closer to their school. YAY! And this putting a house up for sale thing is extremely consuming. Every minute has been about getting the house ready and keeping it clean. Every minute. How do you keep a house clean? I finally figured it out. All you do is clean. 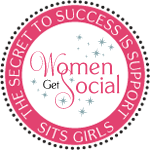 So, due to all this cleaning, my posts have been down and my inventory on Etsy is low. One area of our current home that has always bothered me, has been all the negative space around our fireplace. Lacking any windows or built-ins, it needed something to flank the fireplace to give it more presence. 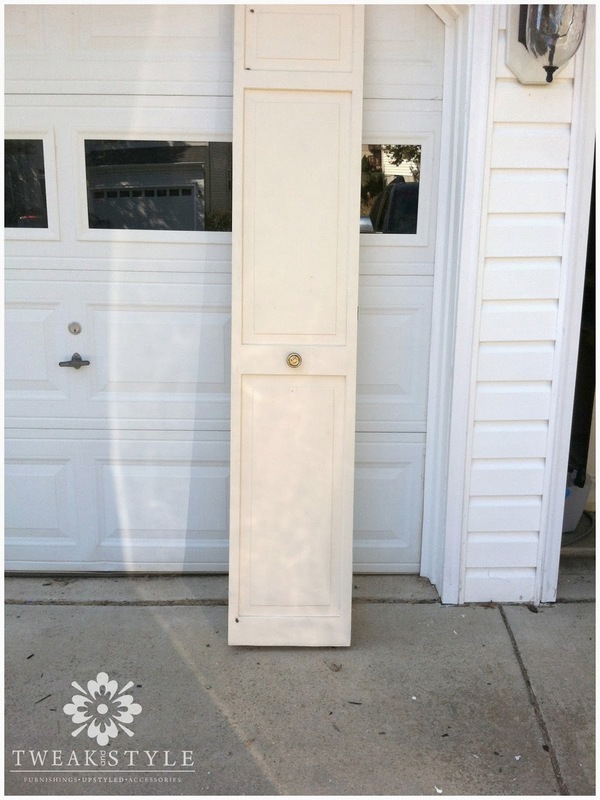 I had purchased these two closet door panels at $5 a piece at the Second Chance store in Baltimore. I had planned to use them to flank the our master bed, but when I changed some design ideas for our bedroom, I decided to use them around our fireplace. I first used wood putty to fill any holes and then lightly sanded. 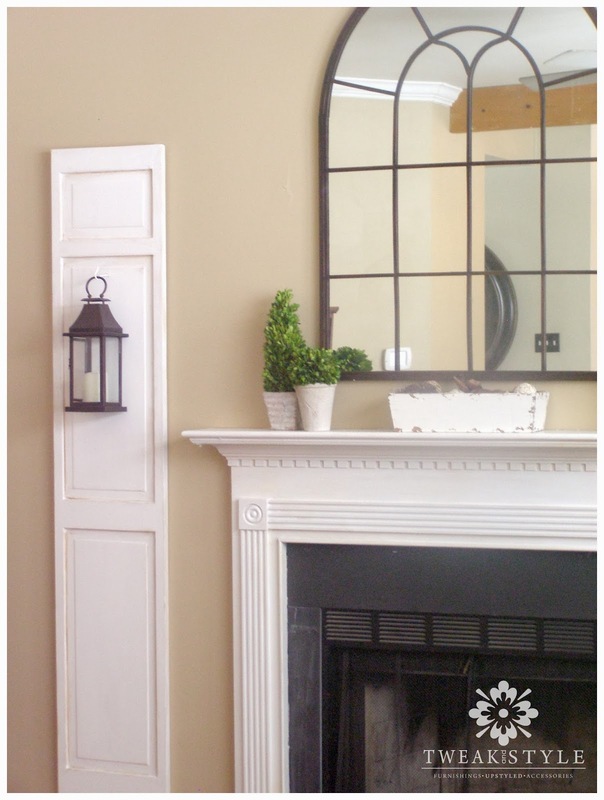 I painted the already off-white panels with Navajo white chalk paint by the American Paint Company, then lightly distressed them and added some dark wax along the edges to bring out the wood details. 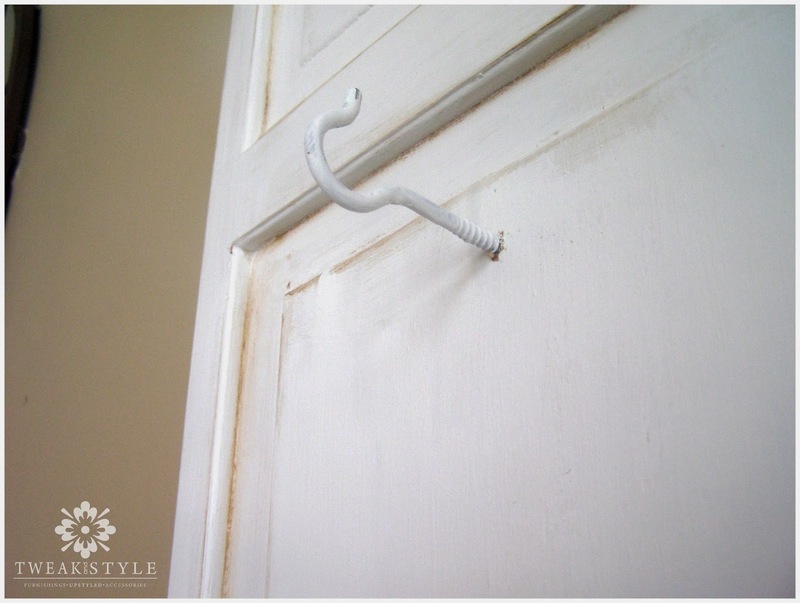 Finally, I screwed in a metal hook and painted it white. Next, I hung a pair of lanterns I already had on the hooks and added some battery operated candles on timers. Now, instead of a fireplace swallowed up by a large wall, it has become a beautiful focal point. Best, of all this project was easy and inexpensive. The room looks so cozy! 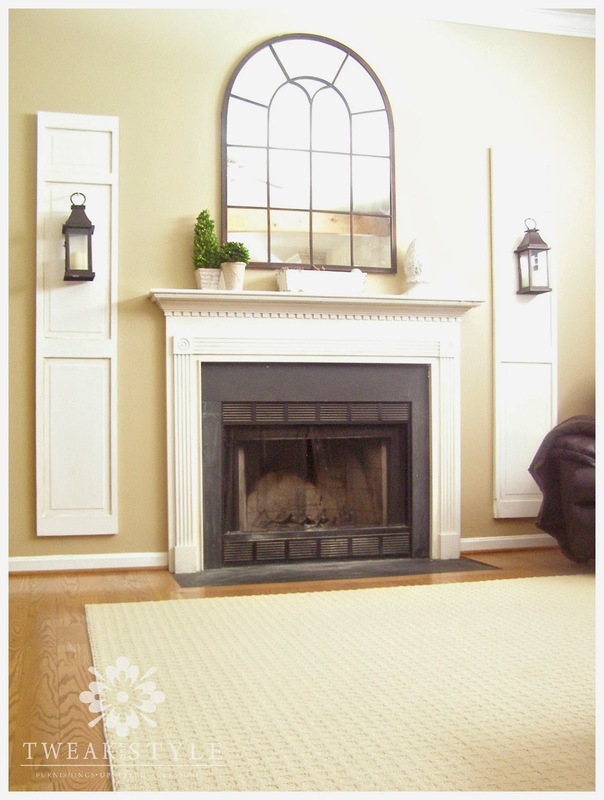 Love the shutters by the fireplace. What a great transformation! Totally different. Love. Wow! 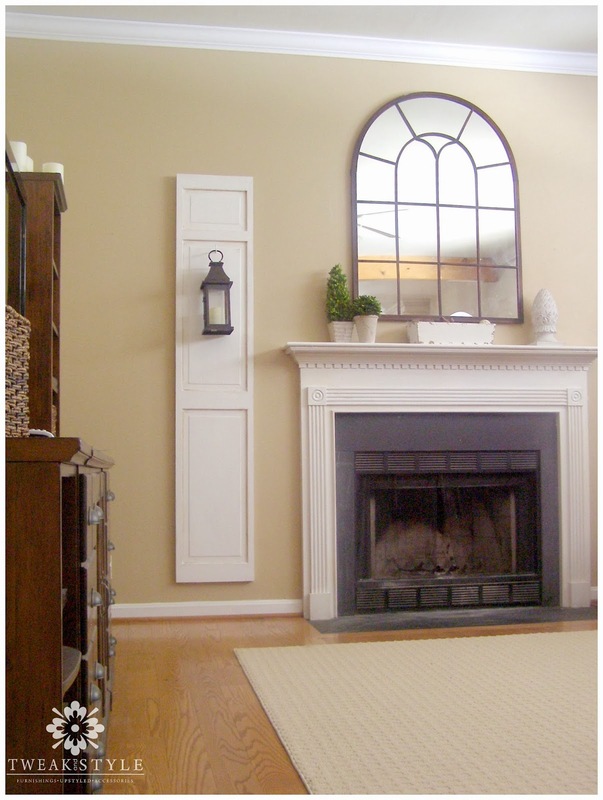 It’s amazing how those closet doors can do wonders in designing all that negative space around your fireplace. 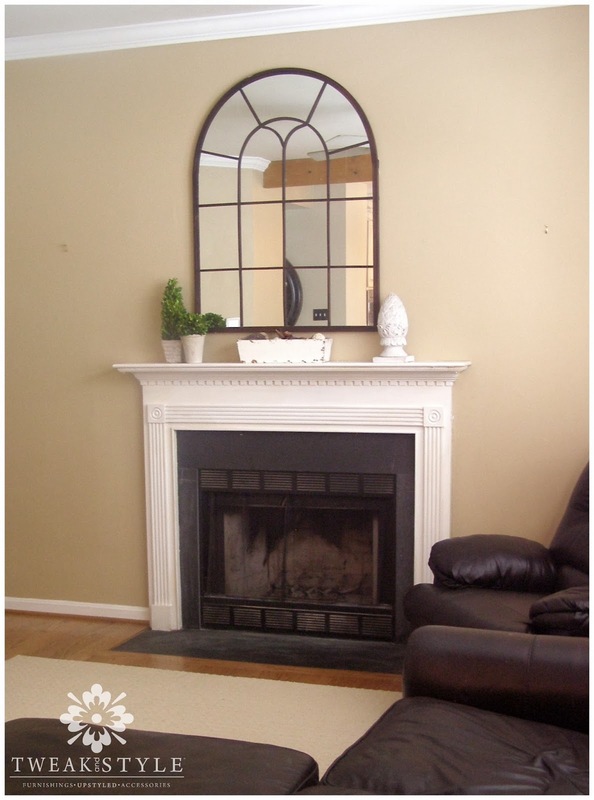 Initially, your fireplace does look a bit too empty and too small for the room. I think you did the right choice, since one way to make it look bigger and come to life would be to make it a little crowded and you did it really well! I also like your choice of lanterns as it added a little bit of that Puritan feel into the house that takes me back to the past. What a pretty way to re-use those cabinet doors! I especially adore the lanterns! !